I love traditions that go along with the holidays. You know the big meal at Thanksgiving, which includes some kind of sweet potatoes and green bean dish. I also love a very simple Christmas Eve tradition that we had growing up. Pizza for Christmas Eve. To some of you this might sound plain or boring, but for us it was a treat. First off, I was a farmers daughter out in the middle of nowhere, so there was no pizza joint nearby. Second, because my dad was a farmer, every meal had to include potatoes. If it didn’t, it probably didn’t hit our dinner table very often…except on Christmas Eve, when all the cousins would head to Grandmas house for pizza. Fast forward some 30+ years later, and I still enjoy this tradition. We are a family of 4 with no family in town, so we get creative. Sometimes we make it, sometimes we buy and traeger it and other times we find pizza places open on Christmas Eve. This year we found a pizza place close to Peacock Lane. Win, win. I had heard about Baby Doll Pizza and even seen friends post pictures of the place. 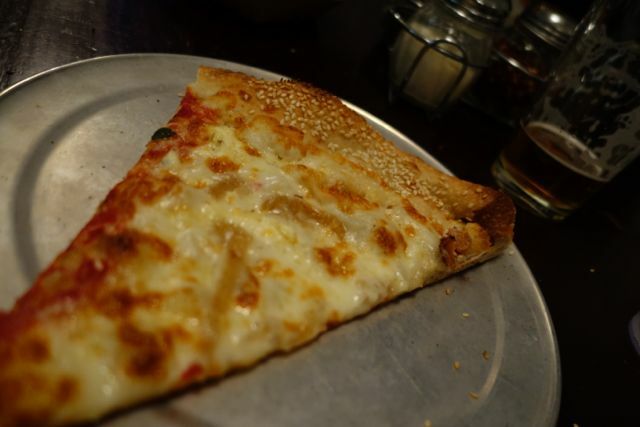 The owner is from New York City and he felt that the Pacific Northwest needed New York style pizza. I hate to argue with people like that, instead I just support them and eat what they consider to be the best in town. You can order pizza by the slice, and they had a huge selection available, but we still chose to order our own pizza since the 2 we wanted were not out. Our whole family loves a good Margherita pizza and the White Pie with mozzarella, ricotta, Parmesan, caramelized onions, garlic and a sesame crust was one that they suggested we try. We loved both of them. 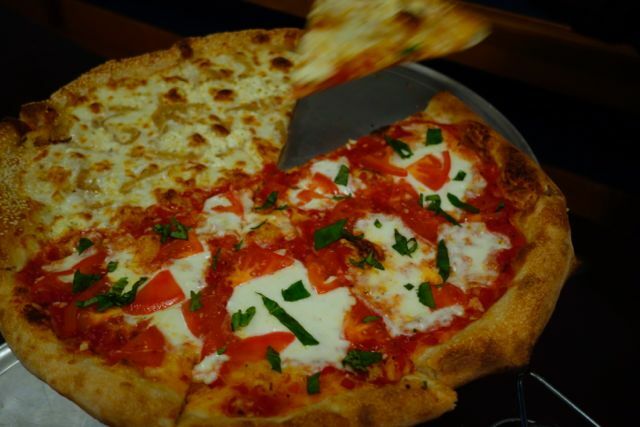 Perfect execution of the Margherita pizza. Big chunks of tomatoes and nice big slices of mozzarella. The White Pie was also excellent. I love to change things up and get something other than a red sauce on my pizza. I also liked the thin crust. 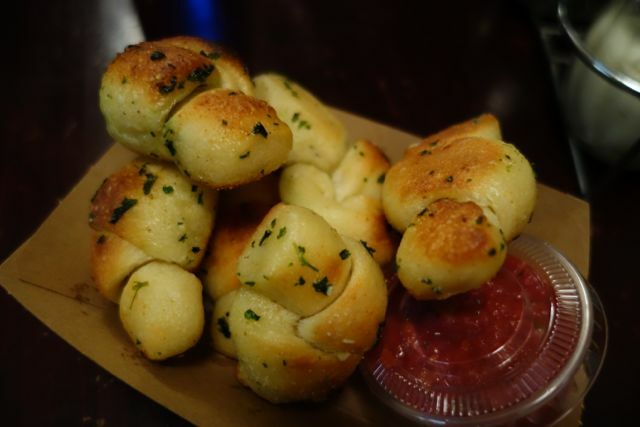 We also decided to try the knots which were also super yummy and a great little appetizer. I would suggest anyone looking for a new pizza place to check these guys out. And yes, we did make our way down to Peacock Lane. It was a fabulous Christmas Eve. Atmosphere was a bit of a hole in the wall restaurant. Not a lot going on in here and just a few tables. A great place to grab a slice to go for sure. Although we were completely happy to enjoy our pizza there. Pricing was about $21 a pizza. One pizza and a half dozen knots filled up our whole family and that includes a teenage boy. Service was great. Even though you order at the counter, they were very helpful and really nice. They had 3 beers on tap. 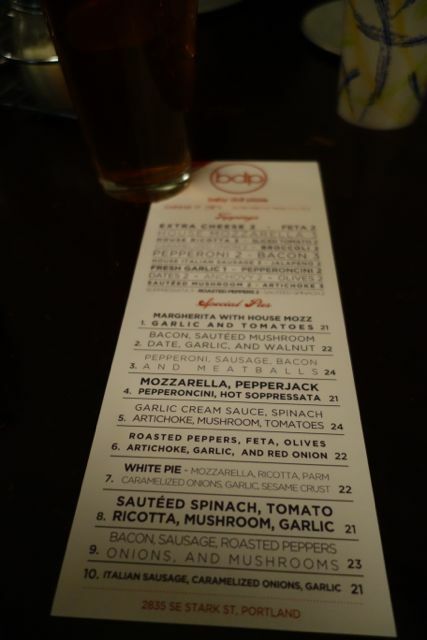 If you order 2 slices you get a beer for just $3.50. And of course they have pop or soda, whatever you would like to call it. Baby Doll Pizza is located off of Stark.